From the 36,000 retweets Harry Potter creator J.K. Rowling got when she announced the Cursed Child on Twitter back in June 2015, Harry Potter the Play was always going to be a HUGE hit. Showing at the Palace Theatre since summer 2016, Harry Potter and the Cursed Child is based on an original new story by J.K. Rowling, Jack Thorne (whose theatre credits include Hope and Let The Right One In), and John Tiffany, the Olivier and Tony award winner director of Once. One play presented in two parts, both are meant to be seen in order on the same day (matinee and evening) or on two consecutive evenings. An all-star creative team is behind the production including movement by Steven Hoggett, set designs by Christine Jones, costumes by Katrina Lindsay, music by Imogen Heap, lighting by Neil Austin, sound by Gareth Fry, special effects by Jeremy Chernick, illusions - this is a show about the boy wizard, after all - by Jamie Harrison and musical supervision by Martin Lowe. Theatrical magic. 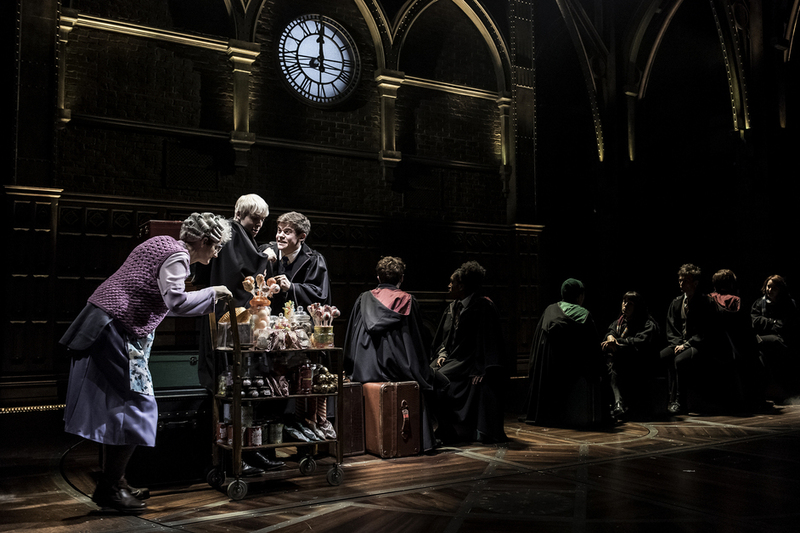 What are the best dining options near Harry Potter and the Cursed Child London? Harry Potter and the Cursed Child gyms, sporting activities, health & beauty and fitness. The best pubs near London Harry Potter and the Cursed Child. Harry Potter and the Cursed Child clubs, bars, cabaret nights, casinos and interesting nightlife. Where to have your meeting, conference, exhibition, private dining or training course near Harry Potter and the Cursed Child. From cheap budget places to stay to luxury 5 star suites see our deals for Palace Theatre hotels, including Radisson Blu Edwardian Mercer Street from 87% off.